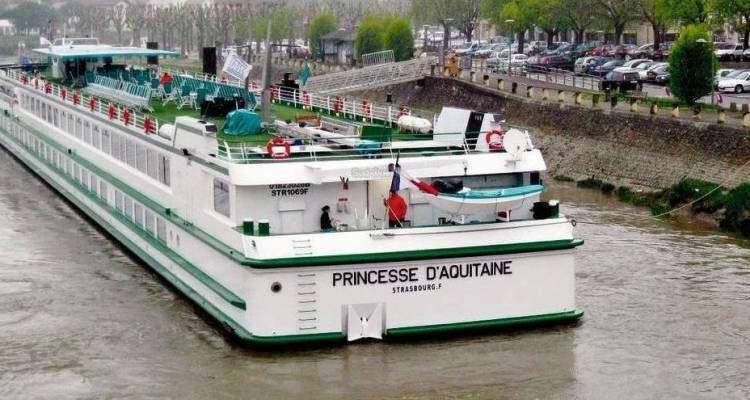 MS Princesse d’Aquitaine was refurbished in 2011 and travels along the Gironde and Dordogne rivers through France’s Bordeaux region. Inside, the staterooms on the 138-passenger ship are comfortable and not overdone, while the library, dining room, lounge, and sundeck make for inviting spaces to watch the pastoral landscapes and vineyards as you make your way to the next port. All cabins are equipped with shower and toilet, hairdryer, satellite TV, radio, safe, central heating, 220V electricity, air-conditioning, radar, radiophone.